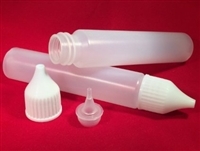 Long cylinder 30ml bottle to make it easier for the users with tanks and small pockets! It is a creamy goodness of milk with a kiss of vanilla and crushed almonds. It combines apples, a touch of bakery cinnamon, and a few secret ingredients to create a delicious vape that will bring back fond memories. Dream of a slice of apple pie with a light cinnamon, succulent apple, and a sweet filling. Fresh baked apples with light cinnamon, buttery flaky crust, and creamy vanilla ice cream. Sweet apples baked and stuffed with goodies that is sure to give you the warm luscious vape youve been looking for! Yep, it really does taste like Bananas Fosters. Imagine Bananas cooking in a pan of sweet brown sugar and butter with slight notes of rum and very light tones of cinnamon over a bed of ice cream. The fluffy sweet stuff we all know well stuffed into a bottle for your vaping pleasure. This one is in my top 3 favorites. Creamy vanilla custard immaculately blended with ripened blackberries. This is a beautiful mixture of smooth blueberry and coconut. An all day vape for sure. Infuse with a classic taste of fresh raspberries. A spin on a classic. Warm toasty banana nut bread, but with a mouthwatering blueberry punch. What could be better than fresh blueberries? Blueberries on top of cheesecake made with pie crust, of course! It's sweet, light, and like a blueberry sweet tart. Yummy chocolate covered almonds, followed with a beautiful aged bourbon. Glazed donut tossed in powdered sugar and stuffed full of buttercream filling....is your mouth wattering yet? When you sink your teeth into a freshly-made, still-warm doughnut with warm butterscotch icing it tastes like pure joy. It’s a creamy vanilla flavor that will make you think that you are licking the mixing bowl clean. Luscious red apples covered in chewy caramel candy. A wonderful blend of rich cream and irresistible caramel. Imagine an ooey-gooey bite of an iced chocolate donut. Fall in love with this mesmerizing sweet vape with hints of vanilla cake, rich cinnamon, and powdered sugar. Freshly baked cinnamon dough covered with sweet cream icing. A coffee lovers dream vape. A rich dark-roasted coffee liquer harmoniously mixed with a delightful cream. Bring home the taste of a classic carnival confection with our watermelon-flavored cotton candy. Our take of a Louisiana classic! Slightly sweet, comfortably tangy, with a smooth cream cheese exhale. A perfect rendition of the crunchy berry cereal we all love. A donut hole filled with milky icing can coved with cereal flavor features sweet berries. A rich, creamy brew of eggs, sugar, spices combined with a mixture of dairy products. A Holiday favorite that you never have to wait for again! Fruit flavored breakfast cereal with hints of orange and lemon with a creamy after note similar to the milk at the end of your bowl of cereal. Stop remembering and start reliving. Cereal, with its delicious fruity taste with a creamy after note similar to the milk at the end of your bowl of cereal. A mellow pipe tobacco flavor with hints of honey. This Floridian dessert will give you that citrus cream based pie flavor you love! Let the rich and creamy flavor of Vanilla take your taste buds on a trip to smooth vape heaven! Choose NONE on the 3 MIY choices if you just want Killer Cream. A New Orleans tradition brought to you in vape form. Fresh cinnamon dough cake with sprinkles and wonderful icing. Ooey gooey sweet and lightly tart lemon squares, a must try for sure! Sweet sugar cookie topped with a rich, creamy lemon. A memory of grandma’s lemon cookies fresh baked to perfection. Creamy caramel, rich coconut, just like the chewy candy. A Fresh mixture of honeydew, watermelon, cantaloupe, and papaya with the cooling sensation of the menthol made perfect sense.